Ernest Noble at UCLA has linked a dopamine receptor that is linked to alcohol, cocaine and nicotine addiction to refined carbohydrates as well. When I was 100 pounds overweight trying every possible diet and failing, I wish I had know that any diet that included refined carbs was guaranteed to fail me and keep me fat. It is like an alcoholic drinking occasionally – PLEASE! It is well-known that abstinence is the only solution for addiction and guess what – food addiction is no different. Most are still convinced that fat people lack willpower or that talking about food addiction is removing responsibility. It is not the case. Yes, once we know the solution we have to take responsibility and abstain from the drug of choice. But until recently, this was not an option because the information was not out there, and frankly it still isn’t. 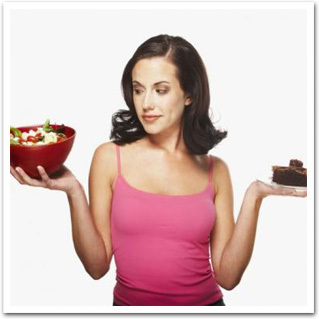 There are not many program options for compulsive overeaters. Skinny Coach is one, Overeaters Anonymous another – but the diet industry is still talking about moderation. MODERATE? Really? If I could moderate I would not have been 100 pounds overweight. If my Skinny Girls could moderate they would not have not been on the phone crying to me that they could not stand being out of control. If they could moderate, people would not hire me out of desperation because they need my help. If they could moderate they would have. Skinny Coach is an option, Overeaters Anonymous is another, but the diet industry is still talking about moderation. MODERATE? Really? If I could moderate I would not have been 100 pouds overweight. I’m not the only one who struggles with that; I hear the stores from my Skinny Girls about feeling out-of-control. If people could moderate, would there be so many obese people in the U.S.? The difference is that I’ve found the solution. Another lie the diet industry has everyone believing is that you have to have a little bit of everything or you will feel deprived. That is the one of the most childish claims I have heard. Only with food is this position espoused. No one can have everything that they want, and if they are mature they learn to live with limitations. Some people have physical handicaps; some people can’t live in the city or neighborhood that they want; some people can’t go to the college of their choice – and some people can’t eat whatever they want. We now know that the brain of the food addict is predisposed to respond differently to refined foods due to dopamine receptor deficiencies. Eating the refined, addictive foods stimulate the release of neurotransmitters, dopamine and serotonin resulting in euphoria. The problem is the euphoria is short-term and tolerance builds, which leads to more weight gain and more out-of-control behavior. If your eating is out of control, if you are always starting a diet and eventually failing, if your pants no longer fit, if you are dreading the upcoming holidays because you have nothing to wear and you know you will gain another 10 pounds, if you are bloated, sick, tired and hopeless, you now have a solution. You have the answer now it; is a matter of taking responsibility. Denial is not an option anymore. If you have questions or want to talk about whether you may have an unhealthy physical attachment to foods like sugar and flour please fill out the Skinny Coach quiz and I will call you for a free 1 hour nutritional consultation and tell you about the one easy, healthy secret that will help your lose belly fat. Posted in Addiction, Brain, Medical, Research, Science and tagged addict, alcohol, cocaine, dopamine, Ernest Noble, euphoria, food addiction, moderation, neurotransmitters, nicotine, Overeaters Anonymous, refined carbs, serotonin, study, UCLA on May 28, 2015 by tiffany.